NEW EVIDENCE: Booth and his helpers, Herold and Atzerodt, all mentioned "the others," a "crowd" from New York, among whom were minstrels, and with whom Booth worked to kill Lincoln. For the first time in history, Thomas identifies people in and around this crowd. The War Department identified several of them, but took no actions to prosecute them. 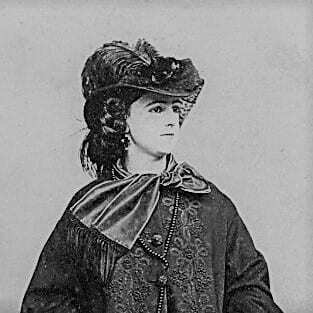 George Atzerodt assumed that this woman conspirator in Booth's plot was Kate Thompson but Atzerodt was mistaken. 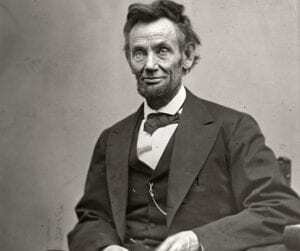 Read this article and discover just how much of the Lincoln conspiracy has never been told. An examination of the economic and political forces that made Lincoln's career possible, and made his removal necessary. Eleven months before Lee's surrender, Major General Benjamin Butler was positioned to take Petersburg, Virginia, with an overwhelming force. Confederate reinforcements were detained, creating a two- to three-day window of opportunity to take this vital crossroads city, only 30 miles from Richmond. But a major, strategic Union victory just weeks before the Republican nomination was the last thing Lincoln's enemies wanted. George Atzerodt, after ten days in a floating dungeon, tried to lighten his fate by telling the War Department all he knew about Booth's plans to assassinate Lincoln. He named everyone in the old kidnapping gang, plus several others that have strangely remained absent from prosecution and history books. 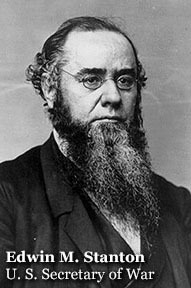 Just hours before Lincoln was shot to death he turned to his bodyguard William H. Crook and said: "Crook, do you know I believe there are men who want to take my life? And I have no doubt they will do it. Other men had been assassinated. I know no one could do it and escape alive. But if it is to be done it is impossible to prevent."